Four local students are headed to college with scholarships that honor a Deltona Air Force officer killed in a surprise attack near Kabul, Afghanistan.Tara Jacobs-Brown, 33, died in 2011 when an Afghan officer stormed a training meeting at the Air Command and Control Center in Kabul National Airport and opened fire, killing nine American Air Force personnel.The master sergeant, wife, volunteer, and aviator left a legacy that has been carried on by her father, Jim Jacobs, a Walt Disney World bus driver who started a foundation that gives scholarships in his oldest daughter’s name. Jacobs raised Tara and her three siblings alone. He said he was inspired to start the Tara Jacobs Brown Scholarship Foundation after reading about her volunteer work. 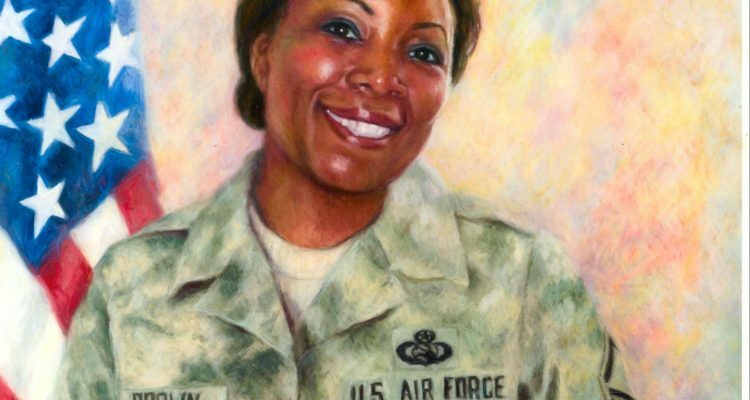 While stationed at Andrews Air Force Base, she volunteered to help abused women and organized base events and off-base activities. She established the Kabul Thai Tuesday Club, a weekly fellowship that encouraged women to build strong minds and hearts and strive to be their personal best. Her family knew nothing about her volunteerism. At her memorial service, many spoke about Tara’s commitment to her community and as her life story unfolded she became a motivating influence on others. Every year around Tara’s July 22nd birthday, her father organizes a fundraiser with all proceeds going to college scholarships. Tara loved to learn and he centered the foundation around helping students achieve their dreams. The nonprofit has raised more than $12,000 and this year four students received $1,000 scholarships. Three of the students attend Tara’s alma mater, Deltona High School, where former U.S. Rep. John Mica helped rename the street near the school for Tara. “With time, I hope that the scholarship foundation founded in her memory will become not a symbol of loss, but a source of celebration for the life Tara lived,” Mica wrote in a letter to Jim Jacobs. To qualify for the scholarships, the students had to have a 3.0 average, exhibit a love for community through community service, submit a well-written essay, and proof of admission to an accredited college or university. The 2017 Deltona graduates include Esmeralda Irizarry, who will attend Florida State University, Wilson Nguyen, who is headed to the University of Central Florida and Elizabeth Downs, who will go to Daytona State College. The fourth recipient, Elizabeth Corbin, graduated from Ridge Community School in Davenport and will attend Florida State University. The Tara Jacobs Brown Scholarship Foundation plans to expand its scholarship base from Florida to the continental United States and even abroad to places like Afghanistan. The TJBSF will also expand its student base to include students who are already enrolled in an accredited college or university and to students currently serving in the U.S. military. To donate to the foundation, go to: TJBSF.org.